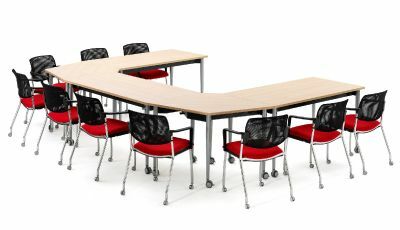 C Shaped meeting table combination comprising three rectangular and two "Kite" tables. ;Easy to use operation can be operated by a single person. Folds to 390mm for efficient storage and transport. 3 - 4 week lead time.